The 20-22 incorporates many high level design features. 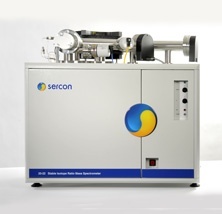 These include an all stainless steel and metal gasket construction flight tube for ultra-high vacuum purity to ensure minimal backgrounds and zero water contamination. True differential pumping for superior ion transfer through the flight tube from high sensitivity source to large dynamic range collectors. The benchtop design with Windows 7 based software ensures a user friendly interface for the most productive IRMS system available. The Integra2 is a combination of our 20-22 mass spectrometer and the SL elemental analyser. This unique product provides the isotope researcher with the most compact instrument. Capable of analysing samples for both 15N and 13C simultaneously with an 18O option, the Integra2 provides the most cost effective and easy to use isotopic analyser available. The space saving Integra2 analysers have been designed to be the workhorses for 13C, 15N and 18O analysis. 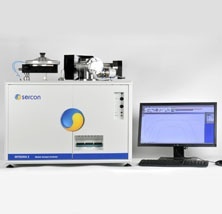 These instruments have a pedigree that goes back to the world's first benchtop isotope ratio mass spectrometer that was introduced by Europa Scientific in 1986. The Integra2 is the instrument of choice for both natural abundance and enriched sample analysis.